Developing Your Authorpreneurial Mindset » Read. Write. Hustle. 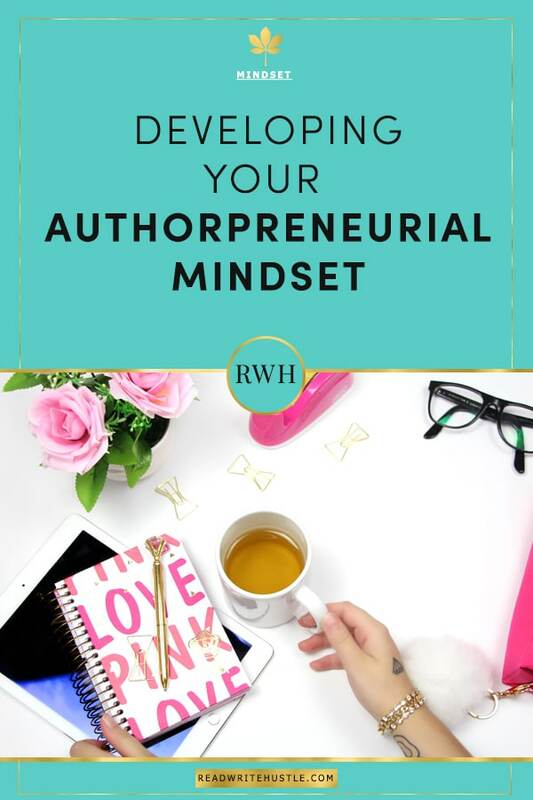 It’s time to chat about Developing Your Authorpreneurial Mindset! Everyone (yes, even you!) can be an authorpreneur if you want to be one. But, (there’s always a but) you may have to let go of your old way of thinking. There will be some boundary pushing and you’ll have to get over the idea that just “showing up” gets you a paycheck. Authorpreneurs only get paid when they accept opportunities, involve themselves in innovation, and create value (books!) for their audience. I get it. That might seem overwhelming right now. Especially if you’re a Monday through Friday, meeting-going, busy-looking, rule-following employee who collects a check at the end of the week. All the while, you never have to push through a single boundary or challenge yourself in any way. But take heart! You can do it. Seriously, it’s in you. Developing your authorpreneurial mindset just takes learning to think and act in a new way. There is no right or wrong answer. But, the answers will give you a clear picture of who you are right now and where you can improve. What are your values? –Look back on your own choices and determine your real values. If you have made mistakes and gone against your core values, identify those times and determine how you can make a different choice. What are your strengths? – You’ve heard the idea that you need to leverage your strengths but how do you even know what they are? Using one of the self-assessments mentioned above, you can find out what your strengths are. When you know them, try to be honest so that your results come out realistic. Take off your rose colored glasses! Try asking five of your closest friends to tell you the truth about what your strengths are, and then if more than three of them say the same thing, believe them. What are your weaknesses? – While you can improve upon your weaknesses, you should first leverage your strengths, but it’s important to know your weaknesses and accept them. It’s still more important to appreciate your efforts, and to understand that the past is a good indicator of how you’ll act in the future. If you know for example that you’re always five minutes late, accept it, instead focus on something positive. That doesn’t mean you don’t work on this habit, but don’t focus on it instead of your strengths. Only when you know who you really are, the good and the bad, will you be able to truly know yourself enough to be brutally honest about your strengths and weaknesses. It’s important because you cannot move forward if you aren’t honest. There are several common features and traits that successful authorpreneurs share. Even if you don’t have these yet, you can develop them with practice and perseverance. They Are Fearless – The truth is – they’re not. No one is fearless, but they are able to push through boundaries and do things through the fear. Neil Armstrong and Buzz Aldrin probably weren’t truly fearless, but they felt the fear and had enough confidence in their convictions to work through the fear and do it anyway. They Make Actionable Plans – An authorpreneur makes plans to do things, but they don’t just make plans – they make plans that are actionable. Making plans, setting goals – that’s just part of the process. Doing is more important. Without action, nothing becomes reality. They Know It’s Not About Them – You’ve heard it before – the customer is always first. But, it never will really hit home until you’re an authorpreneur. You have to learn to separate your wants and desires from your customers’ wants and desires. The customer should drive your products and services and even price point more than your passions and dreams should. They Aren’t Afraid to Self-Promote – As an authorpreneur you have to let go of shyness and promote yourself. Become the expert. Be known as the “go to” person in your niche and you’ll have people pounding down your door to get what you have. You can’t get there if you are too afraid to be a self-promoter. Tip: Create something valuable that you’re proud of and it’ll be easy to promote it. They Take Action – Authorpreneurs are doers, not just idea people. They’re good at identifying opportunities, involving themselves in innovation and creating value and then taking action to implement the ideas. In order to act, you need a clear vision, and you must be willing to overcome obstacles that get in your way. Acting won’t get results but taking smart action will. You must know the difference. They Listen – One skill trait that an authorpreneur has that really helps them succeed is the ability to shut up and listen to what their audience is saying. They Keep Learning – Knowing how to research and evaluate the market, their customers and competitors is a very important skill that they have honed. 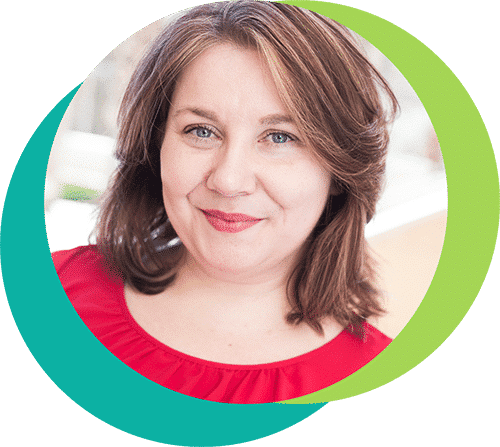 They Network Smart – Successful authorpreneurs don’t just go to every single conference or get involved in every single group. They know how to pick and choose the right events and the right way to network with the right people. They know it’s about building relationships. Developing an authorpreneurial mindset and building your skills can be a process that you work on continuously. Identifying where you are deficient will help you move forward and become more successful as an authorpreneur. In order to build your authorpreneurial skills and reach success, you’ll need to push your boundaries and act right now. You can start slow, or you can dive right in, but these tips will help you move past your fears quickly and help you gain experience feeling success. Learn Something New Regularly –If you just devote one hour a day to learning something new, then move on to something else when you master the first thing, you’ll be able to keep your skills topnotch and develop them even better than you can without a plan of action. Keep Abreast of Industry News – Take some time every day to read about industry news. You can set up a Google Alert for terms that are important in your industry so that you can learn what is happening at all times. Improving your skills as an authorpreneur is not an overnight task and you’ll never be finished. 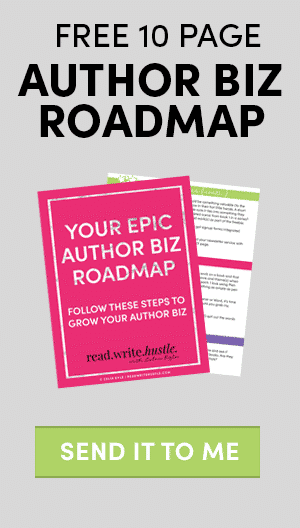 Your journey as an authorpreneur is ever evolving and changing. You may be surprised that what you’re doing today is very different from what you’ll be doing tomorrow. But, that’s how an authorpreneur stays successful. They adapt to change, and develop the skills they need to stay competitive. It’s hard to believe that your thoughts can play a huge role in whether or not you’ll experience success or failure. Not only that, they might even cloud success, forcing you to downplay instead of proudly celebrate. Having Imposter Syndrome – This is a true condition that a lot of men and women have. No matter how much success and kudos they achieve, they feel like a fraud. Comparing Yourself to Others – You’ve heard of the term “Keeping up with the Joneses’” and it applies in business, too. Authorpreneurs often make a huge mistake thinking they need to be just like their competition but, in fact, the main reason you study your competition is to see how you can be different. You’re a unique person with your own way of doing things and this is what makes you great. Being Too Skeptical & Negative – Sometimes experience can make people become too negative and distrustful, which can cause you not to put your feet through a door that can mean great success for your business. Try to trust yourself that you know how to study a situation and determine whether it’s for you or not. Being Preoccupied With What Others Think – If you spend all your time thinking about what everyone around you is thinking, you’ll never be able to be truly successful. Instead of thinking about what others think, consider what you think. Can you look in the mirror every day and be proud of your actions? That’s what’s important. Overthinking Every Situation – It’s good to look at situations from every angle, but once you do that you should be able to make a decision. Overthinking stems from a fear of failure. While it’s not a bad thing in and of itself to worry about failure, if you’re too afraid of failure you may end up procrastinating on your decision, which can make it worse. Trust your instincts. Not Believing In Yourself – Many of us are taught from a young age not to believe in ourselves. It’s not that our parents meant to do that, but maybe they were trying to keep us from being sociopaths. However, to learn to believe in yourself you need to have some examples of success so you know what it feels like. Push past your discomfort, put yourself out there, trust your knowledge, and move forward. Believing That Perfection Exists – One of the biggest blockers of all is thinking perfection exists. Even thinking that any type of perfection exists can cause a problem with procrastination and not getting things done or changing your mind too much. It all boils down to accepting that good enough is good enough. You can always improve later. Overcoming these success blockers takes accepting that you do them and that they exist. If you have often called yourself a perfectionist, take a hard look at yourself and you might find that you’re not a perfectionist at all, you’re just scared to be wrong and to fail. Let that go and move forward so that you can put some success under your belt. The more you know how that feels the more you’ll want to experience it. The professional athlete, Wayne Gretzky said, “You miss 100% of the shots you don’t take.” While Gretzky probably got a lot of kudos and screams when he made the shots, he probably didn’t get many attaboys and attention during practice and definitely not when he missed. As an authorpreneur you’ll need to learn to be your own cheerleader. You’re not going to have a boss to praise you, and if you’ve done your job right surrounding yourself with a good team, they’re going to challenge you and question you, not pat you on the back all the time. When you have the mindset of an employee instead of a business owner, you tend to take that weekly check as kind of a type of kudos for your job well done – even if you didn’t really do well. After all, when you are paid hourly, or even on a salary, you often still get paid even when you’re not very productive. But, when you’re an authorpreneur, you only get paid when you’re productive. Deliverables Over Busy Work – As an authorpreneur you’ll need to determine which actions you need to take each day to make bank. It’s all in the deliverables. It’s not how you do it, when you do it, or anything else but when you’re done with it and that’s when you make money. Time Is Money – If you’re spending time each day messing around on social media without a goal in mind and a plan of action, then you’re just wasting time. Determine what your time is worth. Figure out how much you need to earn a year, divided by how many hours a year you plan to work. If it comes to $125 an hour, do you really want to waste that time doing something you could get someone else to do? Is it really worth it to waste playing Candy Crush? No one is going to yell at you, but your bank account will notice if you don’t act. Participation isn’t a Thing – No matter how often your parents or coaches told you that showing up is all that matters, sorry, it’s not. You also need to produce. There is no prize for you if you just show up, but there is a prize later if you do the work that needs to be done in a manner and within the time frame you have. Producing Is Imperative – Let’s say you work as a maintenance technician for a technology firm. As a perfectionist it takes you 8 hours to complete your daily tasks and those that don’t get done just move to the next day. It’s no big deal because you’ll get paid anyway. But let’s say you decided to start your own Handy Man business. Now you’re in a situation where if you bid a certain amount on a job if you take too long you’re now losing money. The thing is that you have to produce to earn a living. More and more people want to leave their job and work for themselves, but they have a lot of erroneous ideas about what that will be like. Let’s go over some of the myths and set them straight. This is not to dissuade you, but instead to help you make a good choice for yourself and your family with your eyes wide open. Introverts Can’t Be Successful – Surely by now you know this one is not true. Look at the founder of Facebook, Mark Zuckerberg – he may be one of the most famous introverts of all. He created one of the best communication tools for other introverts. With the advent of social media, introverts can become very successful authorpreneurs, too. You Need Extraordinary Talent – There are many examples of talented failures. You may even know some. Amy Grant is an American singer and song writer who is worth over 55 million dollars. She once joked about the fact she had very little talent as a singer, but she took her “three octaves” and went for it. How can you take what you have and go for it? Good Books Mean Success – Even if you have great books, if you don’t then follow through and market so that you can get the word out, you will still not be successful. There is no “build it and they will come” in the writing world. My Schedule is All Mine – Yeah, no. That isn’t happening. Let go of the idea of balance, at least in the beginning. Instead, realize that you can juggle things enough so that you won’t miss little Jonny’s recital, but you will have to work late to make up for it. Let go of these myths and focus on the things that are most important for every authorpreneur. That’s recognizing opportunities, identifying innovation and creating value for your audience. Before we go, let’s learn a little more about the ideas behind opportunities, innovation and value creation. What does it mean exactly? They are not just buzzwords and you can learn more about each of these things and get better at them all. You can probably look back over your life and see plenty of missed opportunities, both personal and business. But, how can you get better at recognizing when a real opportunity is knocking on your door so that you don’t pass it by? First, realize that no one is perfect. One opportunity that you pass up may not be the right opportunity for you. Passing by something that someone else turns into a success doesn’t make you a failure, but, it can be a learning experience. Write down the things you missed, so that next time you’ll get better. Next, realize that you have to deal with what you have right now, not what you might have later. If you don’t have the funds to see something through, it’s the wrong opportunity for you. Choose something you can succeed at without putting obstacles in your way. Keeping abreast of your industry can help you identify innovation. If you purposely search for ideas, innovation and new technologies you’ll learn to identify them in advance. Take notes on your ideas, and then observe if you’re right or not. Over time you’ll learn that you know a lot more than you think. So what if you missed out on something that turned out to be successful in the past? Learn from it, and then move on. You can train yourself to recognize innovation with practice. This is one of the most important aspects of your job as an authorpreneur. Create value for your audience. If they feel as if you heard them, and you create books that matter to them, that you also ensure they know about, you’ll be successful. Finally, the best thing you can do for your authorpreneurial mindset development is to get started. Don’t put it off until everything is perfect. Do what you can to move forward a little bit each and every single day. The only thing stopping you is your mindset, not your abilities.